MAGICK RIVER: Excuse me, Mr Pink Lips, but your fly is wide open... & the case isn't closed! Excuse me, Mr Pink Lips, but your fly is wide open... & the case isn't closed! Having had the privilege of looking at some of the PARIS PAPERS on the Scorpene scandal recently, it behooves me to give anxious landlubbers a “hitchhiker’s guide” to this convoluted mesh of payments that have gone on to grease this most expensive (more than RM7 billion) arms purchase in Malaysia’s history. Since SUARAM lodged its complaint with the French courts for a judicial review of the Scorpene contract in November 2009, the French prosecutors have certainly been busy with their investigations. They have interviewed officials in the French state company, DCN and related companies such as Thales as well as officials in the French ministry of defence. They have looked into bank vaults and scrutinized contracts, memoranda of understanding, memoranda of intent, invoices, bank accounts of various people including Abdul Razak Baginda. There are also some rather telling internal confidential reports of DCN and the French ministry of defence. 2. Payment to Perimekar Sdn Bhd for “coordination services” was 114 million euros. Malaysian tax payers will still need to pay even more for maintenance services, support & test equipment, missiles and torpedoes, infrastructure for the submarine base, training of crew, etc. The total bill for these two submarines will be in excess of RM7 billion. But are these two the only transactions in a sordid affair that has claimed the life of a fair Mongolian lass named Altantuya? But this system was created by the Malaysian government so DCN had no choice. Before 2002, French Bribes to Foreign Officials Were Tax Deductible! Before 2002, when new laws in France and OECD Convention were brought in to make bribing of foreign officials a crime, any money used to bribe foreign officials was even tax deductible! Such is the nature of arms deals all over the world. The former finance director of DCN, Gerarde Philippe Maneyas had made a claim for 32 million euros (RM124 million) allegedly used to bribe Malaysian officials for purchase of the Scorpenes. The budget minister had questioned such a large bribe although he did eventually authorize the tax break. With the new French law and OECD Convention against corruption in place after 2002, the French arms merchants had to find a way to pay commissions to their foreign clients. The method used was to create “service providers” that could “increase invoices” in order to take the place of commissions. Thus, when the French state company DCN terminated its contracts, Thales took over as a private company, not involving the state. Thales International was appointed to coordinate the political connections. A commercial engineering contract was then signed between DCNI and Thales, referred to as “C5”. It covered 30 million euros in commercial costs abroad. The companies used in the Malaysian case were” Gifen in Malta, Eurolux in Luxemburg and Technomar in Belgium. The travel expenses of Baginda and Altantuya were covered by these. Another “consulting agreement” was signed in 2000 between Thint Asia and Terasasi for 2.5 million euros. 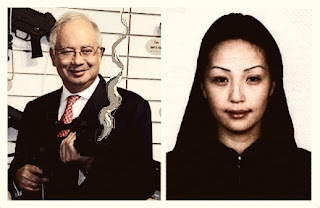 The commissions and dividends for the Scorpene deal were funneled through two companies, Terasasi and Perimekar, both owned by Abdul Razak Baginda. His wife, Mazlinda is a director in Perimekar while his father is also a director in Terasasi. 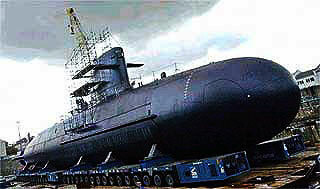 Malaysians have heard about Perimekar and its “coordinating service” in the submarines deal. But so far there has been no mention of Terasasi. Could the Minister of defence tell the Malaysian public and Parliament the exact role of Terasasi in this Scorpene deal? This increase in invoices replaced the former dispensing of high commissions.